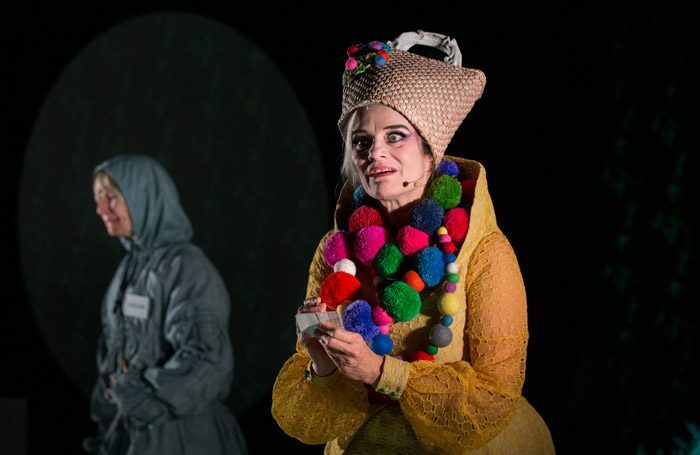 Scottish children’s theatre specialist Shona Reppe, Australian avant-cabaret artiste Christine Johnston and Windmill Theatre Adelaide’s artistic director Rosemary Myers have mashed up and modernised the classic Russian fairytale of Baba Yaga. Reppe is a genius of miniaturist design – she created a table-top version of Cinderella and designed long running children’s show White. 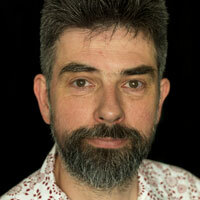 Johnston is a flamboyant adventurer in costume and musical innovation on saw, voice and nose flute. Myers is an innovator in theatre for children who, like Reppe, isn’t afraid of portraying its darker aspects. Together, their telling sparkles with invention and rehabilitates a tale that makes an ‘other’ of an older, single woman. Johnston’s Baba Yaga is an eccentric who plays techno to her plants and eats jelly babies with her mouth open in her top floor apartment of a 101 floor block of flats. She is revealed to be a liberator of the imagination rather than a consumer of the young when Reppe, as the frightened concierge Vaselina, is sent up by the constantly angry residents to make Baba Yaga obey the rules. Chris Edser’s surreal animations, projected onto screens and surfaces of Ailsa Paterson’s set, show the residents as a sea of faces. Peter Nelson’s sound design creates an oppressive world of silence, amplifying Vaselina’s every action and dropping in the residents’ demanding voices. This is a hugely imaginative piece of theatre that easily engages its seven to 11 year-old audience. It also sees Reppe, in particular, moving into a much more expansive area of performance.